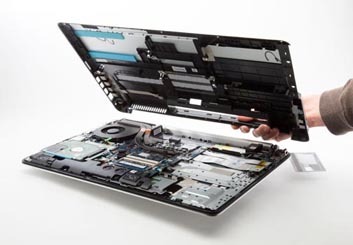 This hardware kit and installation guide is for the following laptops listed below. 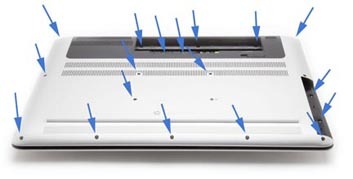 You willfind the exact model number of your laptop underneath the battery. 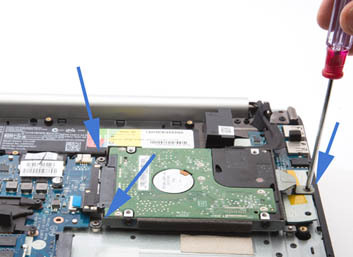 The abovementioned laptops have two internal 2.5-inchhard drive bays. 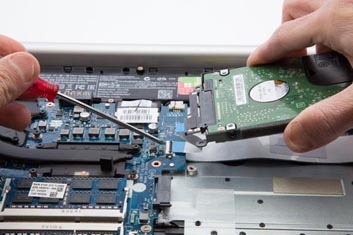 If your laptop has only one hard drive installed, you can add a 2nd 2.5-inch hard drive or SSD. 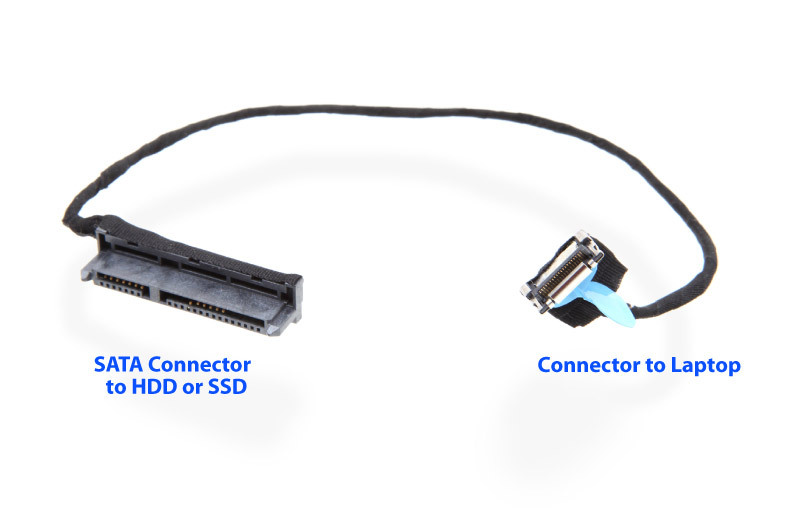 You will need a bracket / caddy and SATA ribbon cable connector as shown in the photo above. 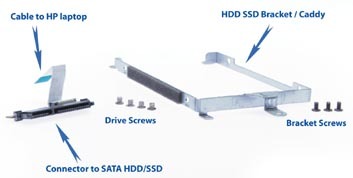 We will first begin by attaching the HDD or SSD to the bracket caddy with the four drive screws.The drive you can install in the 2nd drive bay would be a SATA 2.5" hard drive or SSD with a maximum height of 9.5mm. over and remove the battery. 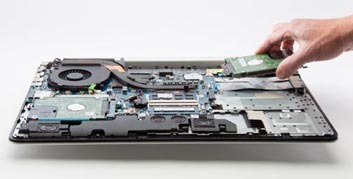 Remove the bottom cover of the laptop. 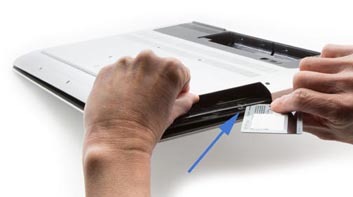 To make removal easier, use an old "credit card" to help pry the bottom cover. 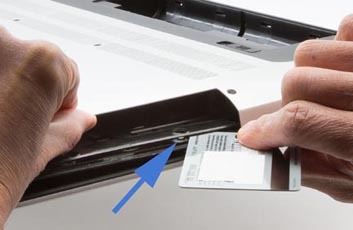 Start at the optical DVD drive bay by holding the bottom edge upwards and inserting the credit card at the crevice as shown below. Slide the card to the right and around the corner to the next side until bottom cover comes off. Time to install the assembled HDD / SSD with caddy and SATA ribbon cable kit. Insert the edge of the cable into the connector as shown in the photo below. 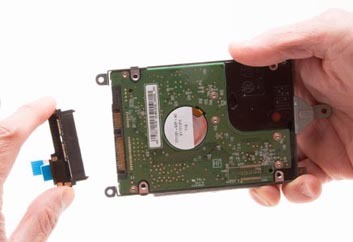 Once inserted properly, close the "door" of the connector. 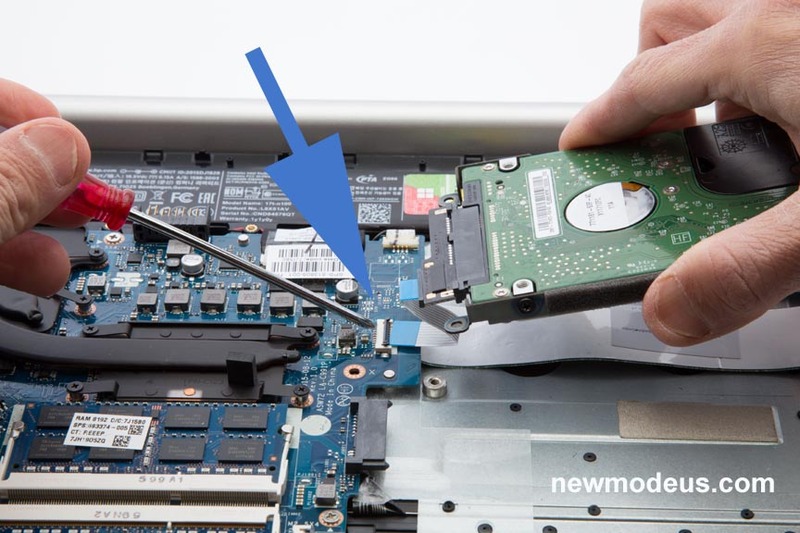 Secure the HDD SSD caddy / bracket to the laptop with the three screws provided. Re-attach the bottom cover and the battery. If you installed a new drive, you will have to format and partition the drive under Windows Disk Management. Warning! formatting and partitioning a drive will delete/erase all data.